The normal human mind is only capable of experiencing one thought at a time. If you think about the past or the future, your attention is diverted from what you are focussing on at any one time. As our mind is prone to wander, this tends to make us naturally inefficient. With a constant barrage of both internal and external interruptions, it is not surprising that some people’s efficiency can be as low as 10%. One of the benefits to recognising a problem is that we can begin to find a solution. When I first started meditating, I noticed very quickly that I was much more efficient on days when I treated myself to 10 minutes of Me Time. If I didn’t get around to meditating, some days I would be pushing water up a temporal hill. What I learned was that the practice of mindfulness meditation didn’t so much make the inner chatter and distractions go away but it made it easier to deal with them. When we meditate daily, it becomes easier to remain in the meditative state through the day. This doesn’t necessarily mean we have no thoughts at all but we forge a new relationship with our thoughts. I discovered that it was an urban myth that the left brain was logical and the right brain creative. A more accurate model was that the left brain sat inside space and time, focusing on detail, while the right brain dealt with the Big Picture and sat everywhere and ‘everywhen’ else. I came across the art of Mind Mapping and learned how it induces the Whole Brain State, where left and right brains work in harmony. I learned this state can also be induced by some yogic breathing techniques. When we get in this state, time seems to stretch so tasks get done in the time we allocate to them. I called it EMT – or Extended Me Time. What’s more, when in the EMT state, we emit less thought forms so people external to us don’t pick them up and think to bother us. We create an Interruption Barrier. I learned that the source of procrastination were thought forms that mainly emanated in our lower mind centres. If I became a busy fool, creatively getting on with everything else other that the task in hand, it was because a fear was in operation. Occasionally, it was also because my gut mind ‘knew’ there was a better way, or more optimal time, to carry out the task. A quiet mind allowed me to tune in to this source of intuition – or inner-tuition – and to acknowledge the fear but to do it anyway! I learned too that neuroscientists had discovered that the gut mind operates ahead of time and this is a possible source of precognition. This I called IMT – or Inner Mind Time. I started to research the nature of light bulb and aha moments. These flashes of inspiration, that arrive in ‘no time at all’, are massive time savers and can be accessed on demand while in the meditative state. They come from inside space and outside time. When we experience one, we have entered OMT – or Outer Mind Time – and we awaken our prescient ability. After a while, these practical benefits become second nature and another amazing benefit emerges. With a quieter mind, we become better able to spot serendipities, coincidences and opportunities. They were probably there all along but a busy mind meant we missed them. With reduced fear and more focus, external events soon arrive Just in Time and we begin to live a charmed and magical existence. Before I found myself immersed into the world of mindfulness and meditation, I was always quite good making the complexities of high technology understandable by technophobes. I have applied the same mindset into what I call timefulness and have created an accessible 8 week self-study course, with 21 day meditation re-treat bonus, that will change your relationship with time. I am also teaching it live inside businesses and teaching teachers how to teach it. 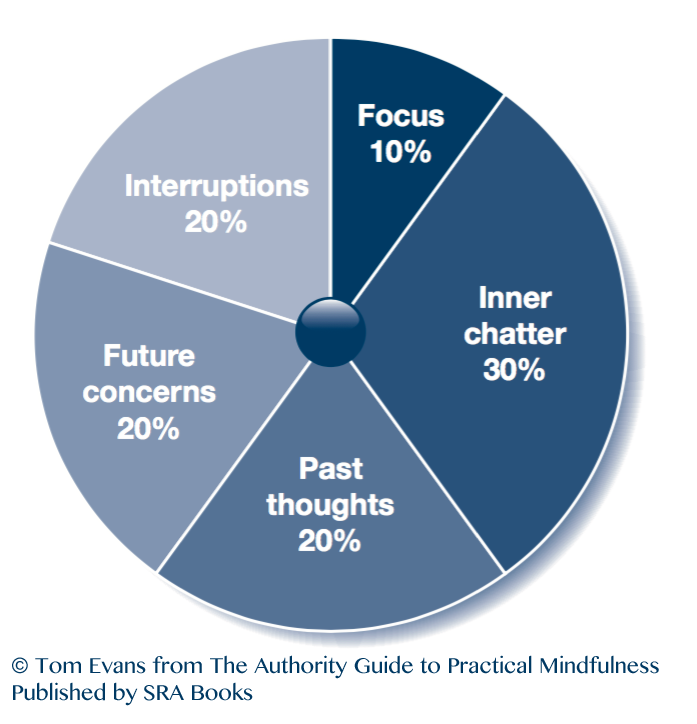 If you want more time in your days and weeks, check out Mindfulness-based Time Management.